It’s Been a Wild Ride, but I’m Back with Buttons! I haven’t blogged in quite a while, but I’m back to it. My small button business literally took off overnight. 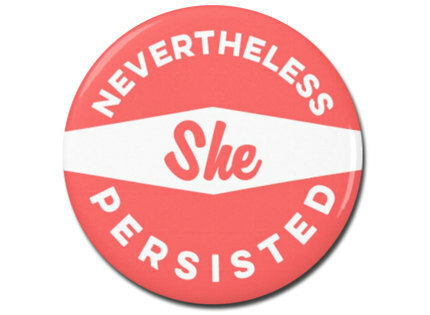 For reals – I made a Nasty Woman button during the presidential debate, went to bed and when I woke up it was madness! I couldn’t keep anything in stock, I was up all night making buttons and shipping orders. It took me some time to get the hang of it, but now I’m all good! I have a large inventory of political, feminist, science and other activism designs available now in my Etsy shop – PlushBot Design Co. Designs are available on 1.25 & 2.25 inch buttons, 1.25 & 2.25 inch round fridge magnets and 2×3 inch rectangle fridge magnet. Use coupon code FREESHIP to get free shipping on orders of $10 or more.